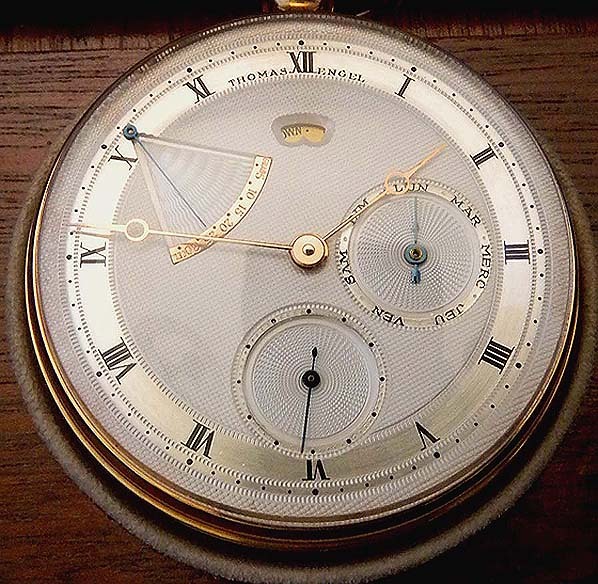 Fine and Rare Breguet style Thomas Engle 18K gold Concours Observatorie Chronometre pocket watch with thermometer, calendar and 30-hour power reserve with original wooden box circa 1980. Silver engine turned Breguet style dial with thermometer at 9:00, days of the week, and power reserve aperture. Gold Breguet hands. 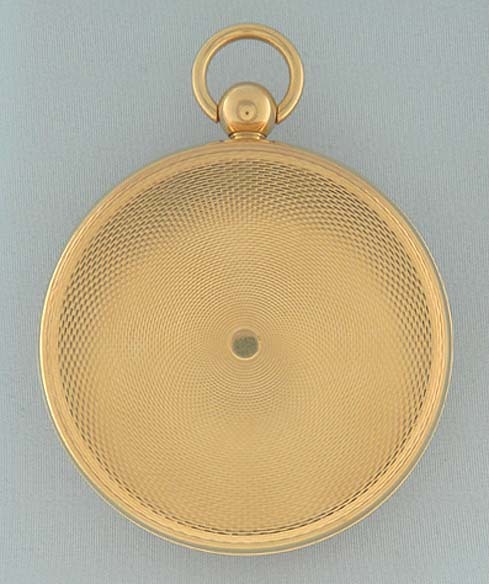 Screw back engine turned case #11 with glazed cuvette and ball pendant winding crown. 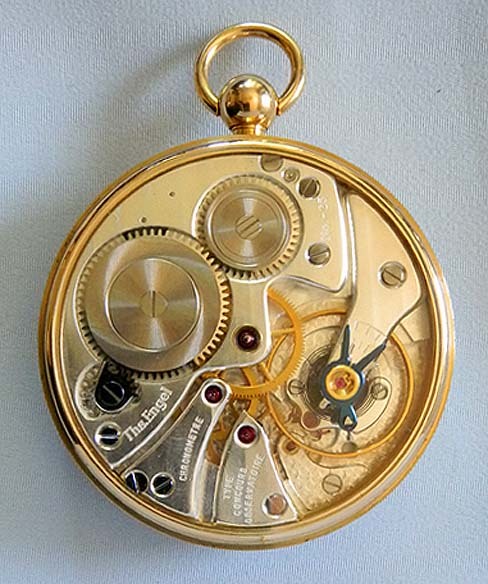 Calibre 5011K rhodium 19 jewel straight-line lever movement #25 with monometalic balance, self-compensating hairspring with outer terminal curve and precision regulator. The balance and escape wheel pivots fitted with shock absorbers. 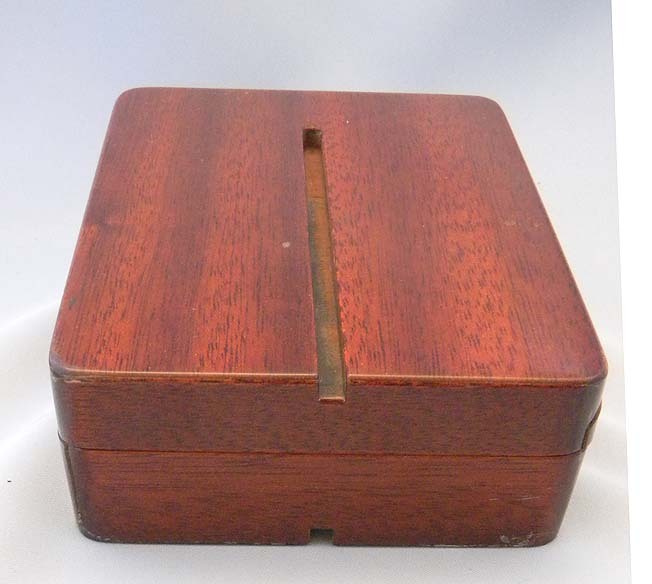 Original wooden box with spare parts, missing sliding clasp. A wonderful watch in like new condition. 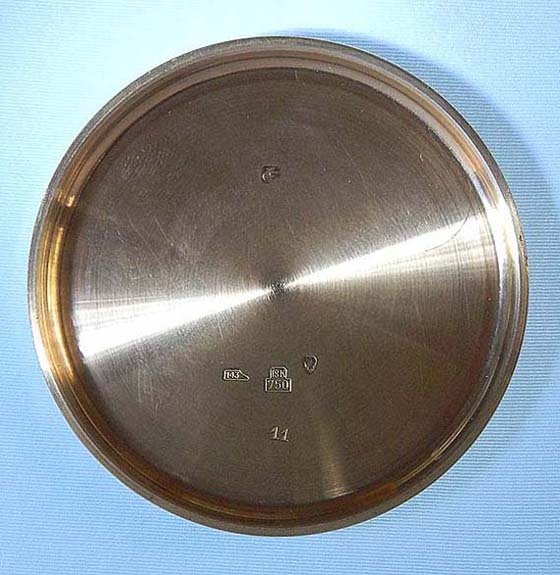 Professor Thomas Engel has worldwide fame for production of plastic polymers and has received numerous awards and prizes for his work including the Diesel Prize which was also awarded to the rocket scientist Wernher von Braun. 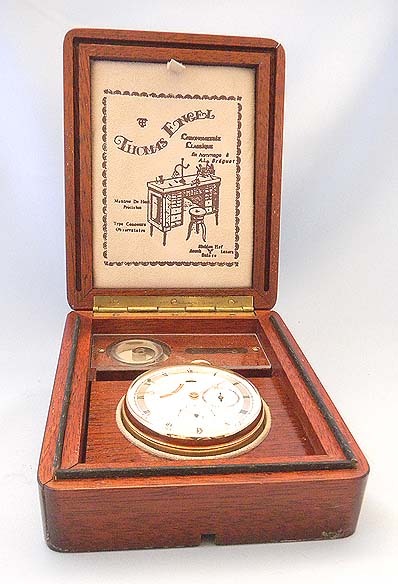 In addition to his professional interests, Engel is also a horological expert and the author of the book A.L. 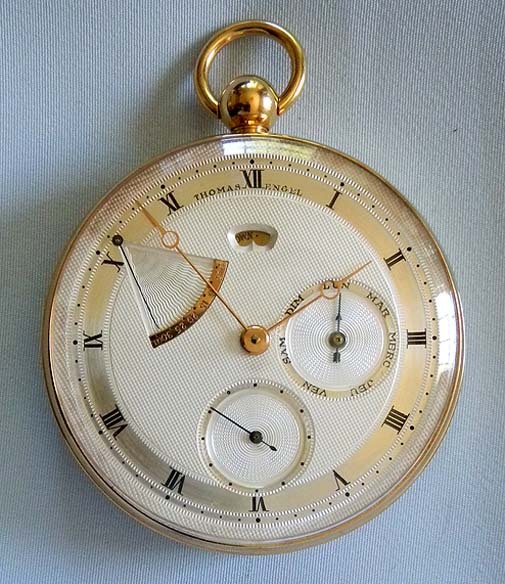 Breguet, Watchmaker to Kings. 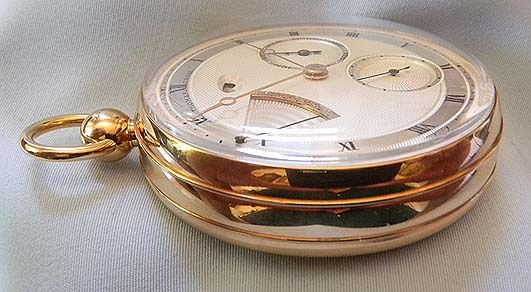 He is also a collector and the maker of watches in the style of Breguet, known as Engel Breguets to collectors. This is a wonderful example of such a watch.